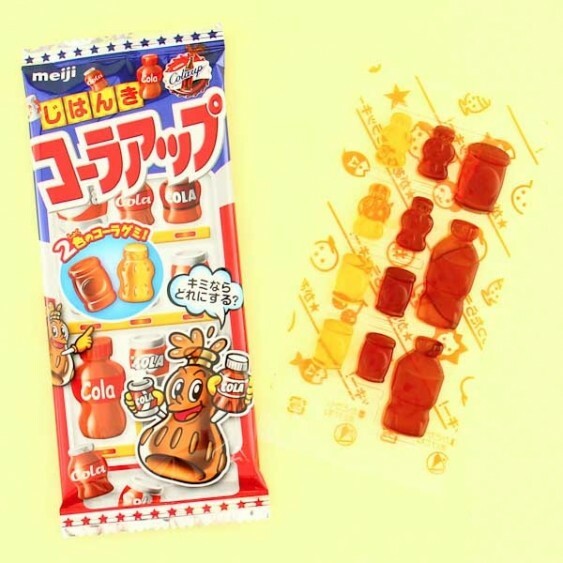 These cola gummy candies from the Japanese manufacturer Meiji are a must-try for cola lovers! The sweets come in two types of cola flavors, and they are shaped like little cola cans and bottles. The packaging is decorated with a cute vending machine design. 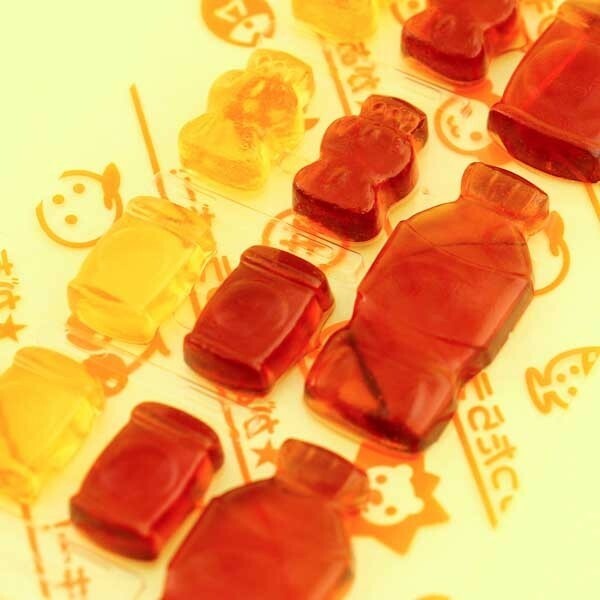 These gummies are so fun to eat, and the strong cola flavor is just so delicious you cannot resist it!